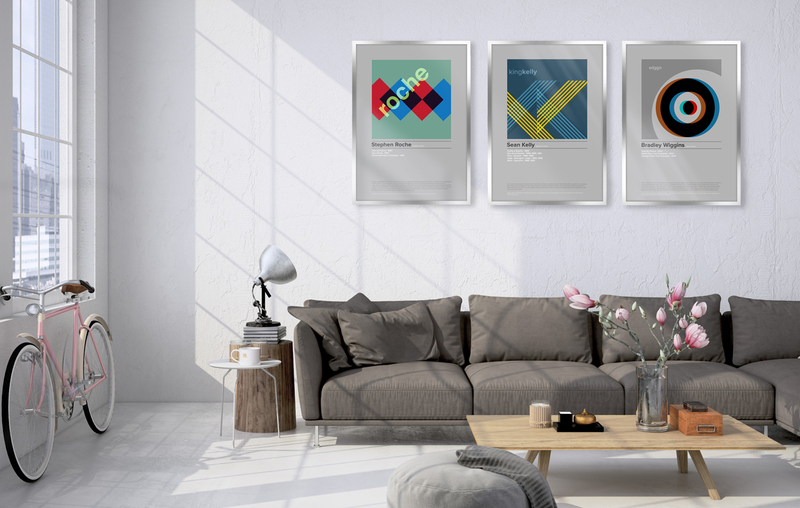 There’s something about cycling that brings out the best in graphic designers – and these posters are no exception. Done in a Swiss Modernist style by Don Mammatt at The Northern Line, they tell the stories of cycling legends in bold and colourful ways. 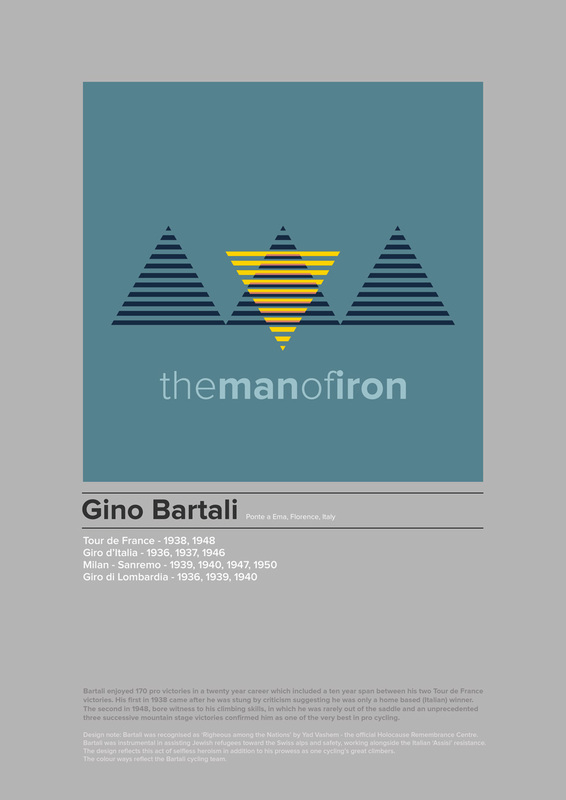 This Gino Bartali poster is my favourite because, not only does it celebrate the cyclist and his wins, it also honours the man and his heroism during the Second World War, when he helped Jewish refugees escape through the mountains to safety in Switzerland. A legend in every sense of the word. 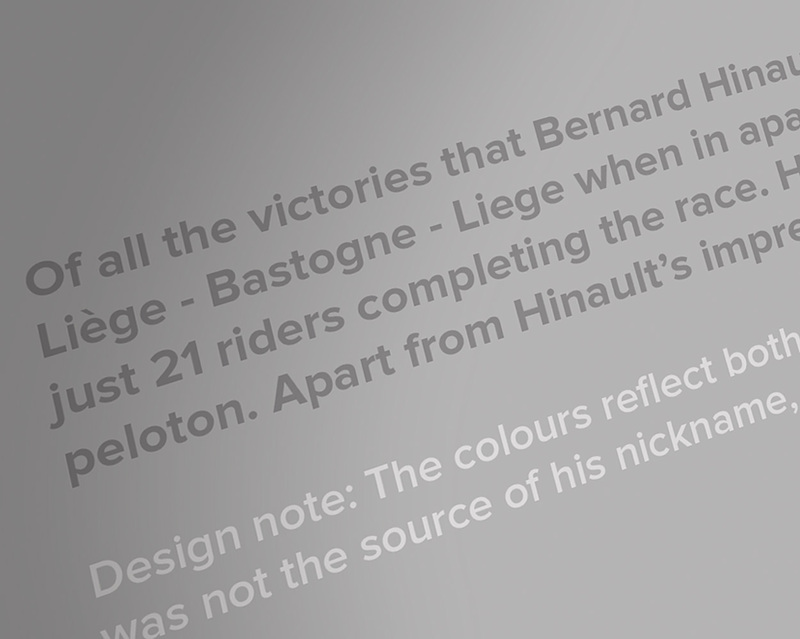 Each poster has its own unique design, inspired by the individual cyclist and includes a list of the rider’s Grand Tour and Monuments wins, a short bio and the thinking behind the design. 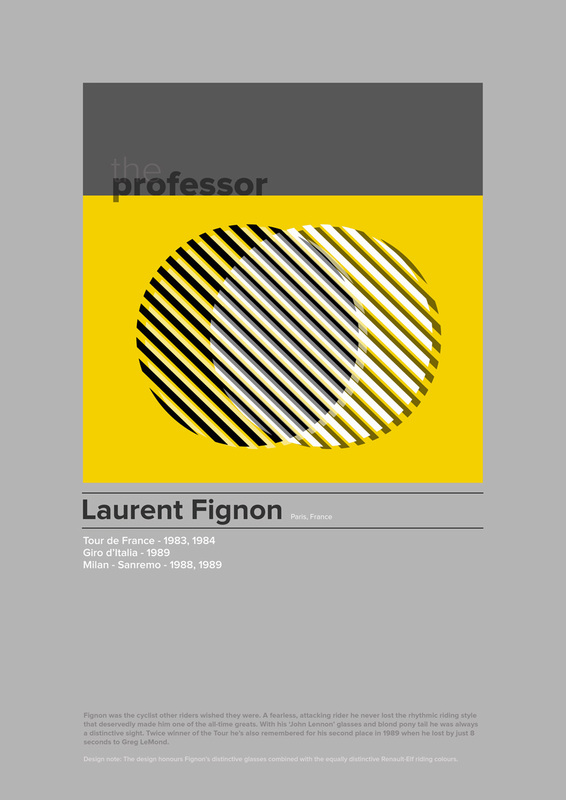 Laurent Fignon‘s glasses and his Renault-Elf riding colours make for a bold design. Printed on 250gsm silk paper, the posters come in two sizes: A3 (£17.50 unframed; £35.50 framed) and A2 (£26.50 unframed; £59.50 framed). To see the entire selection (and to buy yourself a treat), go to thenorthernline.co.uk. Follow on Instagram; Twitter; Facebook and Pinterest. 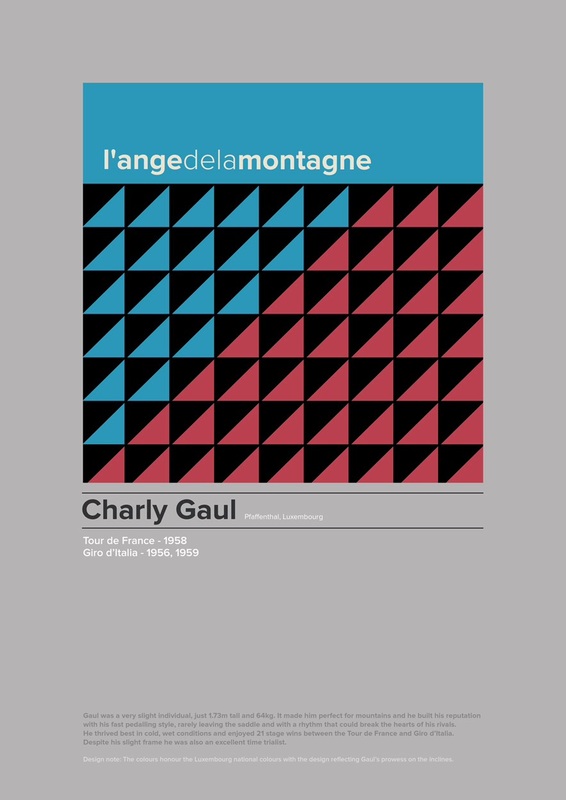 Header image: detail from the Raymond Poulidor design.